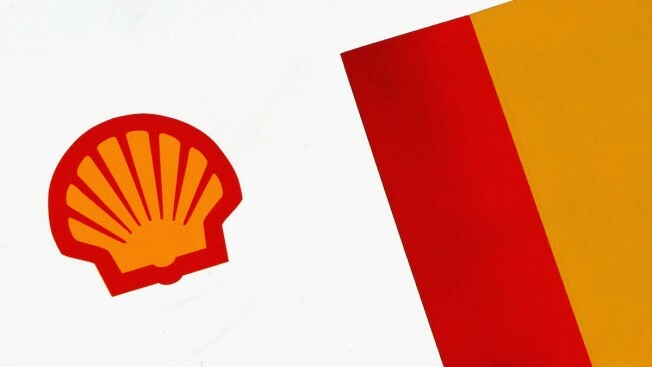 The Shell logo is shown on a petrol pump at a Shell petrol station April 23, 2003 in London, England. Royal Dutch Shell PLC says it's ceasing exploration in offshore Alaska for the foreseeable future. The company says an exploratory well drilled to 6,800 feet found oil and gas but not in sufficient quantities. Shell USA President Marvin Odum says in an announcement early Monday in The Netherlands that it's a disappointing outcome for that part of the Chukchi Sea basin. Shell drilled in 150 feet of water about 80 miles off Alaska's northwest coast. The exploratory well was the first in the Chukchi in 24 years. Shell has spent about $7 billion on Arctic offshore development on the hope that there would be deposits worth pursuing.